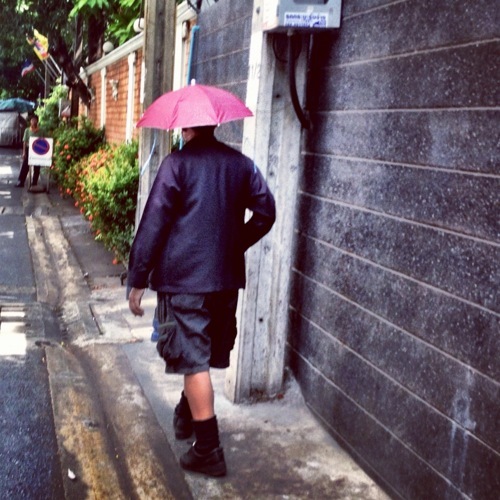 As I Tweeted earlier, I was lucky enough to make a rare sighting today, here in the wilds of Bangkok, of the rare and elusive umbrella hat in action. Lighting does, in fact, strike twice: I documented such a sighting back in 2008, as well. Of this much I can be certain: I need one of these contraptions for myself.